This badge was issued to ADRIAN SOERANTO on 10 Jan 2019. 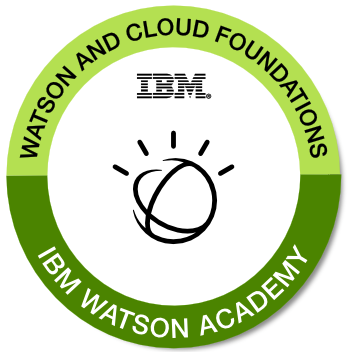 This badge earner has a foundational understanding of IBM Watson and IBM Cloud. The individual can articulate how IBM Watson is Data and AI for smarter business, how IBM Cloud supports IBM Watson services, what are the IBM Watson Data and AI services, and how to implement an IBM Watson service on the IBM Cloud. Successful completion of the Artificial Intelligence Concepts course.